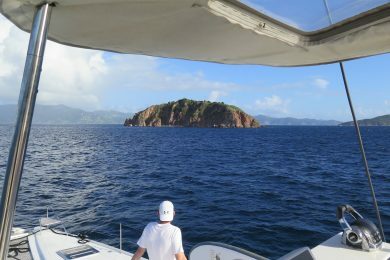 We keep going back to the BVI for a week of chartering sometime during the winter and it certainly is one of the world’s best, easiest and most convenient island groups for bareboat chartering. Yes, we have chartered in a lot of other areas as well, including Maine, The Chesapeake Bay, the Grenadines, southern Italy, Turkey, Croatia, French Polynesia and New Zealand. These days, there are so many charters areas and so many charter bases to choose from, making the decision where to charter is the biggest problem. 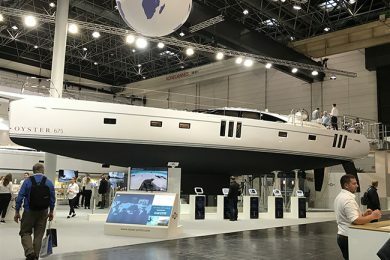 Companies like Travelopia (the company that recently bought The Moorings, Sunsail and Footloose), Dream Yacht Charter, Kiriacoulis and others have hundreds of bases around the world to choose from. And there are hundreds of smaller charter companies that have one or two bases and staffs that offer very personal and friendly service. Often the smaller companies can be more flexible with dates and can offer charters at slightly lower prices. Here’s a rundown of the world’s favorite charter areas and the seasons when you will have the best weather. With the exception of Southern California and Florida, where you can charter year round, most of the chartering in North America runs from May to October. 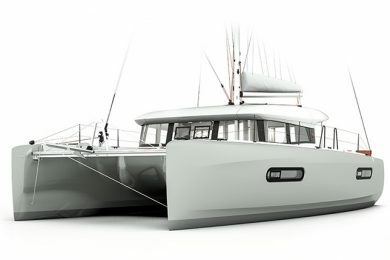 The Pacific Northwest ranks as the most popular charter region in North America and there are dozens of small charter companies offering monohulls, multihulls and trawlers for charter; you can cruise all year round but for most sailors, the summer is the best time. Down the West Coast, both San Francisco and Southern California offer good sailing but with somewhat limited destinations. 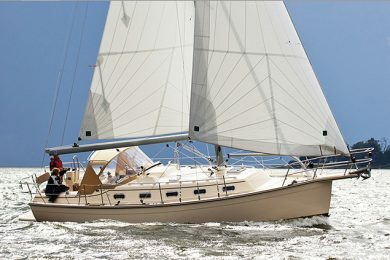 San Francisco can be foggy in the summer so spring and fall are great times for chartering. Down south, just pick your week and go, all year round. The Great Lakes and in particular the famous North Channel, have much to offer for those who want to try sailing in Northern wilds and in what’s called the sweet water. You are liable to see bears on the shore line and an eagle or two fishing with sharp talons. Don’t forget to bring your bug spray. East Coast chartering focuses on New England, the Chesapeake and the sounds of North and South Carolina. Maine is best in July, August and September when the incidence of fog decreases. 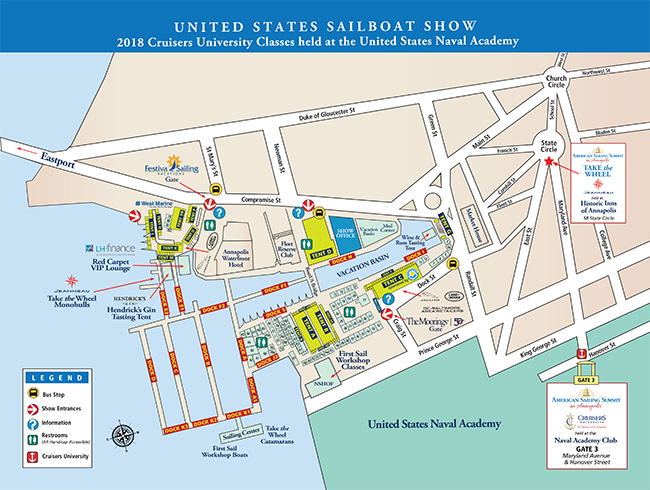 Southern New England and Long Island Sound offer great cruising from Memorial Day to Labor Day and you can push the end of the season through September when the summer crowds will disperse and the sea water is still warm enough for swimming. The Chesapeake and the sounds can be very hot, humid and airless in the height of the summer. So, if you want to sail in these excellent cruising grounds, spring and fall are the best seasons. Florida beckons in the winter and can be very humid, hot and rainy in the summer, but the best time to charter in Florida is in the spring and fall. The weather will be most benign and the wind steady from the east most of the time. 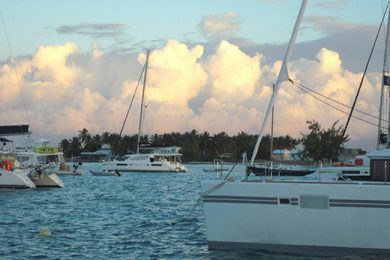 Like Florida, the Bahamas can be exposed to northly storms in the winter so chartering in the Abacos or the Exumas is best in spring, summer and fall. The winds will be lighter, the storms almost nonexistent and the trade winds will keep you cool. The Abacos are like the BVIs because there are many great harbors and towns, good snorkeling and plenty of little restaurants. 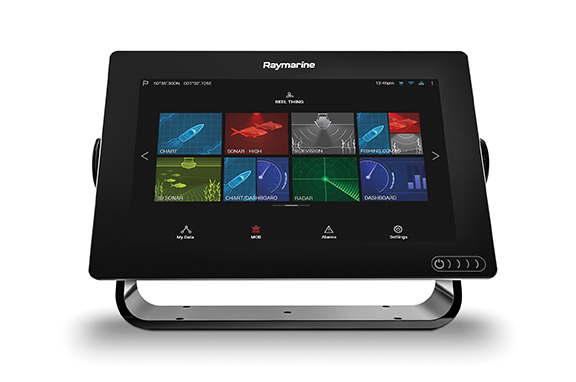 Plus, the sailing and navigation are straightforward. The Exumas are much wilder and mostly unpopulated. For a week or two off the beaten track, with fun stops at villages at Staniel Cay and George Town, you won’t find a more pristine cruising grown. When you think of Caribbean chartering, you think of the BVI; that’s where most sailors go and where the preponderance of the charter companies have their bases. This is where Charlie and Ginny Carey invented bareboat chartering more than 50 years ago when they started The Moorings. 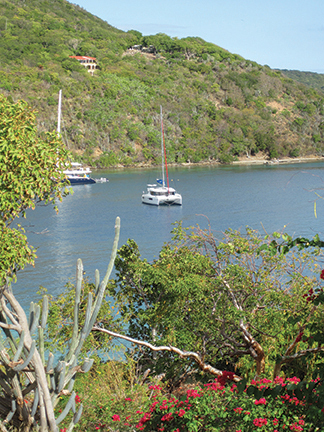 The BVI, like the rest of the Caribbean, has become a year round destination. Often very crowded at the height of the winter season, spring, summer and fall offer lower charter rates and often fewer bodies at the best attractions. 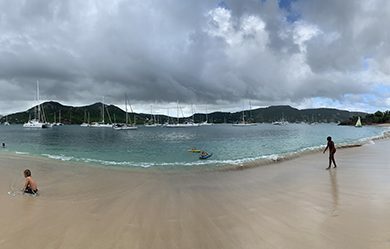 Right next to the BVI, the USVI and Puerto Rico have well established charter operations that position you for a fun week around St. Thomas and St. John with the Spanish Virgins right nearby. 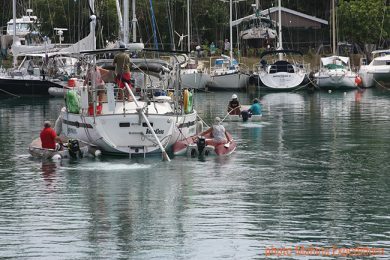 If you have done the BVI, then the USVI and Spanish Virgins make a great next destination. The Eastern Caribbean from St. Martin all the way south to Grenada has a host of beautiful and interesting chartering opportunities. St. Martin is a big charter destination with plenty of fun to be had right there. 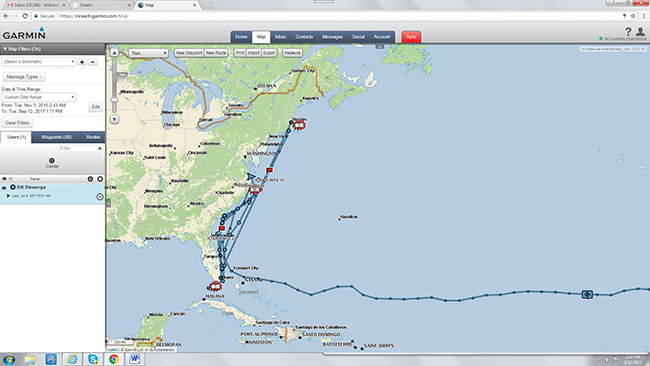 But Anguilla and St.Barts are nearby and just a long day sail south you find Saba, St. Kitts and Nevis. Antigua and Guadelope have charter bases that set you up in the middle of the island chain where you can explore Martinique, Dominica and even St. Lucia. In the south St.Vincent and the Grenadines offer one of the highlights of Caribbean cruising, with amazing islands, reefs and waterfront restaurants. Grenada at the southern end remains one of prettiest and best Caribbean destinations. In the western Caribbean, Belize is the hot charter destination and the sailing is mostly in the calm waters inside the Great Barrier Reef and hundreds of islands. 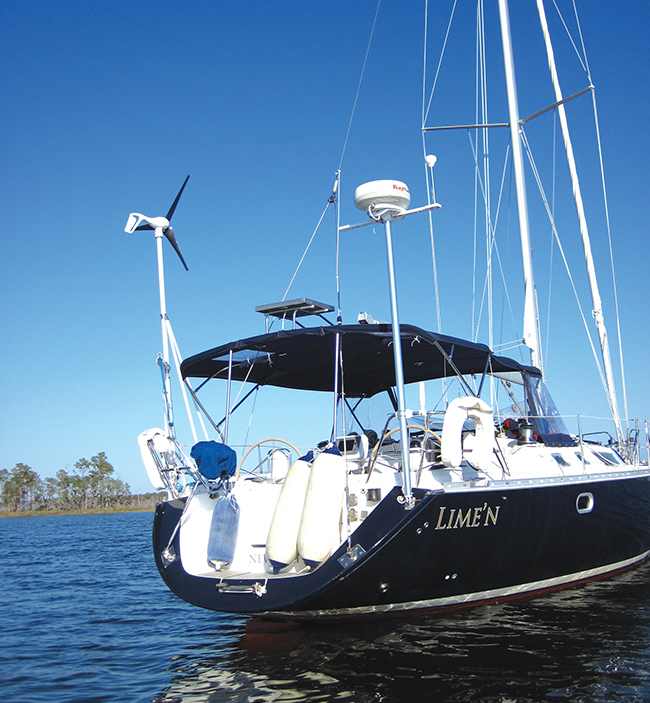 Combining a charter with an eco-tour is a favorite way to expand your exposure to the country. From the Balearic Islands in the western Med to the rugged coastline of Turkey, the Mediterranean Sea is one of the most beautiful and interesting regions of the world to charter. In many ways the Med is the cradle of Western Civilization and at every turn and on every island there is something that links the present to that ancient world. The food in the Med is fresh and healthy. The people uniformly friendly and the sailing either all on or all off. The sailing season is from spring through fall and subject in the summer months to bouts of very strong, clear-sky winds that can pin you in port for days at a time, winds with famous names like the Mistral, Bora and Meltemi. These are strongest in July and August and much less of an issue in spring and fall, which make them the best seasons for chartering. The western Med is just an overnight flight from the East Coast of the U.S. and you can be on your boat in the Balearic Islands (Spain) by the afternoon of the day you arrive. 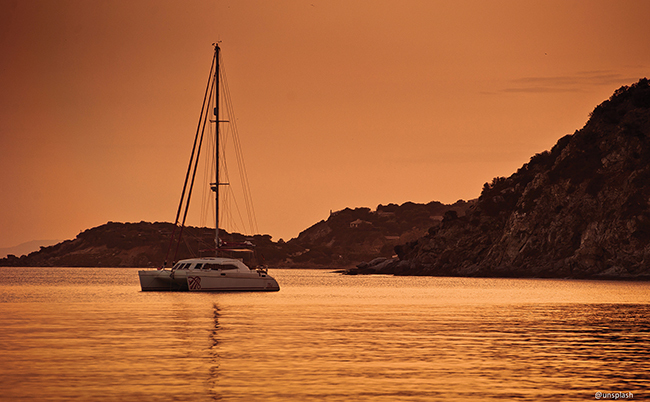 You start in Majorca and can sail east to the genial island of Mahon or south to the all night fleshpots of Ibiza. 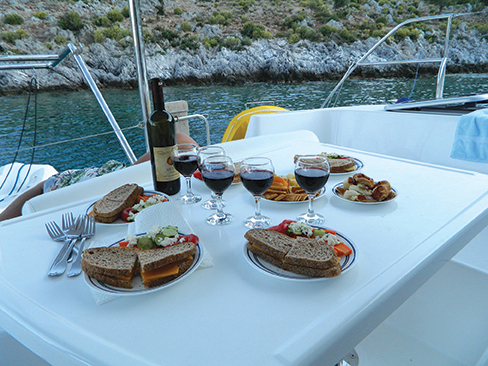 Either way you will have good sailing, lovely ports of call and wonderful Spanish food and wine. 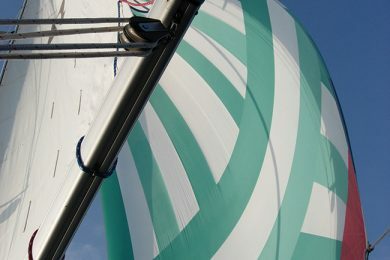 Italy has charter bases along its western coast from Elba in the north to the Bay of Naples to the south and Sicily has a base on its north shore. The cruising takes you from island to island and coastal port to port. You often will have to Med moor so you can step off your stern right onto the quay. Highlights are the islands in the Bay of Naples and the Aeolian Isles just north of Sicily. The Adriatic Sea leads you to the wonderful cruising grounds of Croatia’s Dalmatian Coast where you will find several charter bases and hundreds of islands and ancient harbors to explore. You sail by walled cities and see castles on hills from medieval times. The wind is often light and the weather stable and mainly fine. In spring, you might find it cold at night but warm during the day while in the fall, the climate will be nearly perfect. The Ionian Sea south of the Adriatic is home to several charter bases and positions you to explore the rustic Greek islands of Ithaka, Corfu and others. In summer, it will be hot and calm when the Meltemi is not blowing. In the spring and fall, the wind will be pleasant and the nights cool. If you want to include a visit to Athens, Delphi and other antiquities, an Ionian charter fits in nicely. The Aegean Sea has always been one of the world’s great cruising grounds with Greece to the west, Turkey to the east and in between islands right out of the history books. You can charter from near Athens and explore the western islands. Or you can charter from Turkey and explore the islands on the eastern side as well as the fabulous coast of Turkey, the Turquoise Coast. 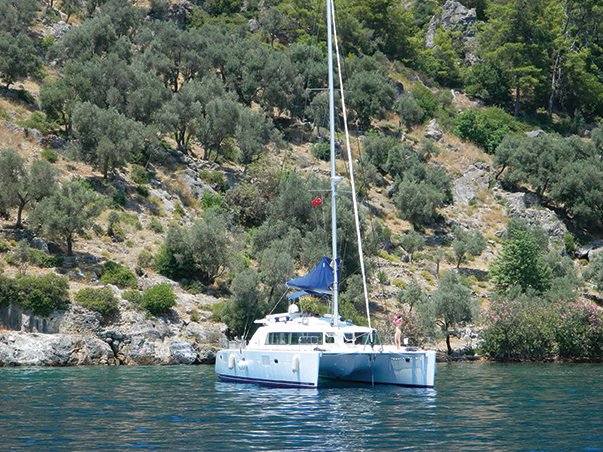 You could, like Ulysses spend many years sailing about and exploring the Aegean Sea. For adventurous sailors, flying off to the Southern Hemisphere to charter in the South Pacific has a strong appeal. You will be sailing in some of the most pristine waters on the planet among some of the most beautiful islands and lagoons. You change seasons when you head to the South Pacific, where their typhoon or hurricane season runs from November to May. So, as a rule, the best months to charter are from May through October when the trade winds are steady and rain and squalls much less frequent than during the hurricane season. In French Polynesia the charter bases are on Raiatea in the Isle sous les Vents. From there you can explore the nearby islands of Tahaa, Huahine and Bora Bora or make a long daysail to the magical island of Maupiti, where Polynesian life goes on as it has for a thousand years. The sailing can be boisterous but at night you can always find shelter inside the lagoons and in protected anchorages. Polynesians are happy people and easy to meet and interact with. For many cruisers, French Polynesia tops their list of favorite cruising grounds. Tonga will be a close second, too. The Island Kingdom is comprised of three unique island groups and all of the chartering is in the north Va’vau Group. 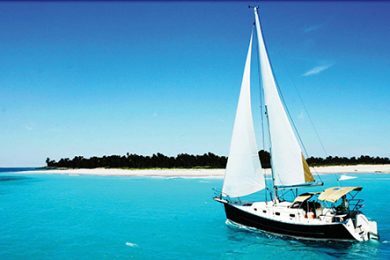 Here you will find very pleasant sailing in calm waters, pleasant trade winds and dozens of beautiful anchorages. Ashore the Tongan people are lovely albeit shyer than their Tahitian cousins. Life is simple, healthy but poor. You may be able to arrange for a feast with roast pig, steamed fish and taro. You may get invited to visit a home or a school. Among all charter areas, Tonga is the most rustic in the world. People who make the effort to get there never forget the experience. 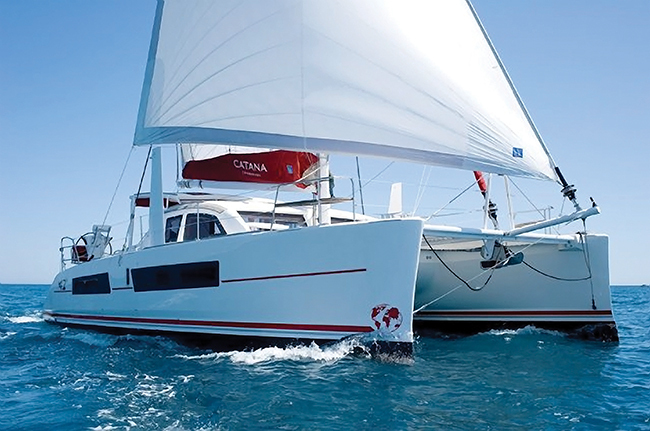 New Zealand and Australia both have good areas where you can charter. In New Zealand the Bay of Islands hosts a couple of charter fleets and from there you have the whole somewhat wild Hauraki Gulf to explore. New Zealand is where sailors live and where many cruisers go when they move ashore. It is one of the planet’s loveliest countries. In Australia, the chartering is in the Whitsunday Islands inside the Great Barrier Reef. 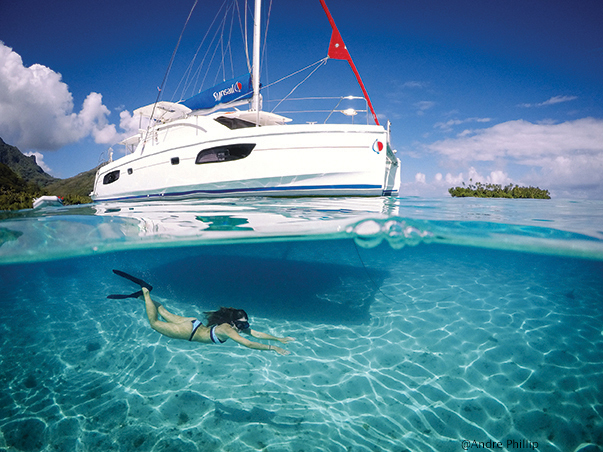 The sailing is excellent, the diving out of this world and the shore side life upscale and fun. If you are headed to either country for a charter, you should take a second week to explore ashore. Southeast Asia is an intriguing part of the world, beautiful and undeveloped, mysterious and ancient. The main charter center is in the south of Thailand around Phuket island and Phang Na Bay. The weather is governed by two major weather patterns, the northeast monsoon and the southwest monsoon. During the Northeast monsoon from November through May, the climate is dry and hot with occasional night showers. This is the best season for chartering. 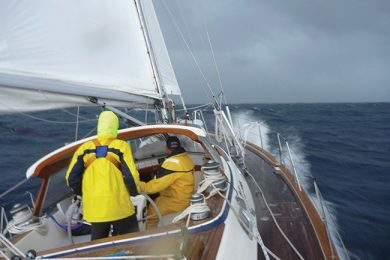 The southwest monsoon from June through October brings humidity and steady rainstorms, not the best time for a charter. Thailand is a beautiful country with good light air sailing all around the bay and on Phuket’s western shore. The people are welcoming and fun and the food at the beachside bars excellent and inexpensive. Thailand is an exotic destination for a charter but very worthwhile. The Seychelles are just about the most remote charter destination in the world. Set out in the northwest corner of the Indian Ocean off the East African coast, the island group is tropical, beautiful and largely unspoiled with not much development. The beaches are some of the world’s prettiest and under the water the diving is unrivaled. The best times to charter in the Seychelles are during the shoulder seasons between the northeast and southwest monsoons—March, April, May and September, October and November. If you want to sail in the one place no one from your yacht club will ever see, the Seychelles is the place.